Read Luke 11:14-26. Verse 14 introduces the scene. Jesus is casting out a mute demon that oppressed a mute man. Chris mentioned that “we tend to become like that which occupies us or fills us.” Why is this a significant detail in Luke’s story? What does this teach us about the nature of our enemy – the evil one? And, what does this say about our hearts and our minds? Verses 20-22 show us that Jesus is stronger than Satan. 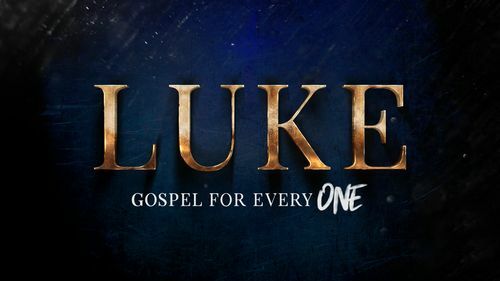 What is Luke communicating to us about the power of Jesus the Son of God? How does this encourage you? Read verses 24-26. This is an interesting illustration. Jesus makes the point that a clean but unoccupied house is still vulnerable. What does this story teach us about the nature of the demonic? Why is it important to be aware of this? To defeat the demonic, we need more than “rules” and “order.” In order to experience real change, we need help. What does this mean for you? To defeat the demonic, we need to be filled with His presence. As Christians, we have been promised the indwelling power of the Holy Spirit. How does this spur you on? To defeat the demonic, we need to be pre-occupied with His purposes. We find our purpose in knowing God through His Word and walking with Jesus. How does this challenge you? Chris noted that the phrase “demonic possession” can be misleading. The term “demonic oppression” is more congruent with the language of the New Testament. So, we need to be aware, but not afraid. Do you have any additional thoughts on this?